If you live in a part of the country where the winters are long and very cold, you may struggle to get out of the house and into the gym. 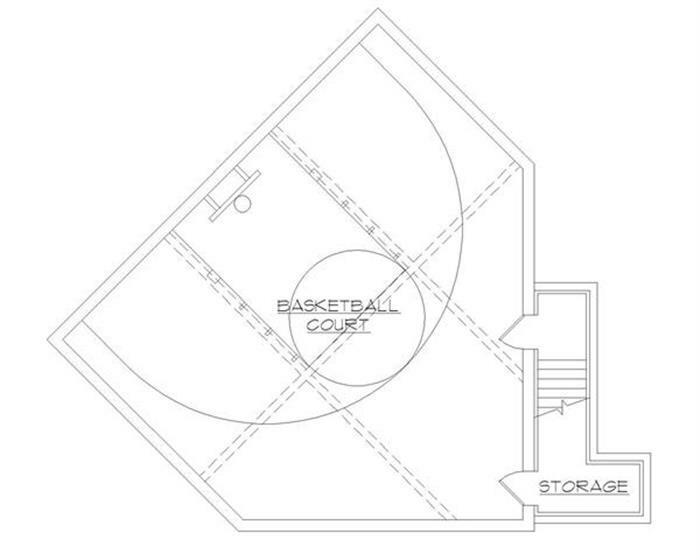 So, why not add an indoor basketball court to your own home? Indoor basketball courts don’t have to be restricted to shooting hoops. They’re just as valuable for playing racquetball, doing gymnastics, or hosting a quick pickup game of kickball. They also make fantastic indoor gyms, providing ample space for all of your weightlifting and cardio equipment. Before you delve into our house plans with indoor basketball courts, it’s important to understand some nuances and specifics about them. 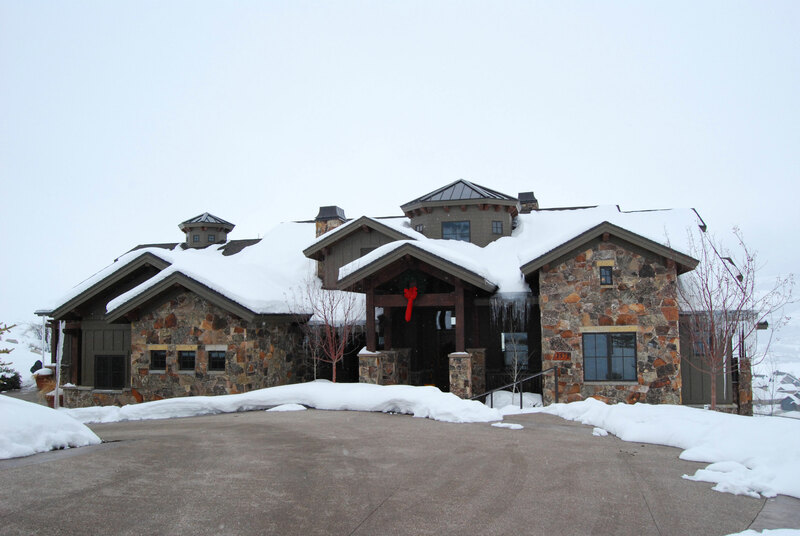 We have built several homes with indoor basketball courts. This has been a lot of fun and challenging. Indoor basketball court dimensions are about 30'x35' with ceiling height at a minimum of 17' high. These dimension and height specifications mean many house plans with indoor basketball courts are for larger homes, but we’ve also built homes with basketball courts under the garage. 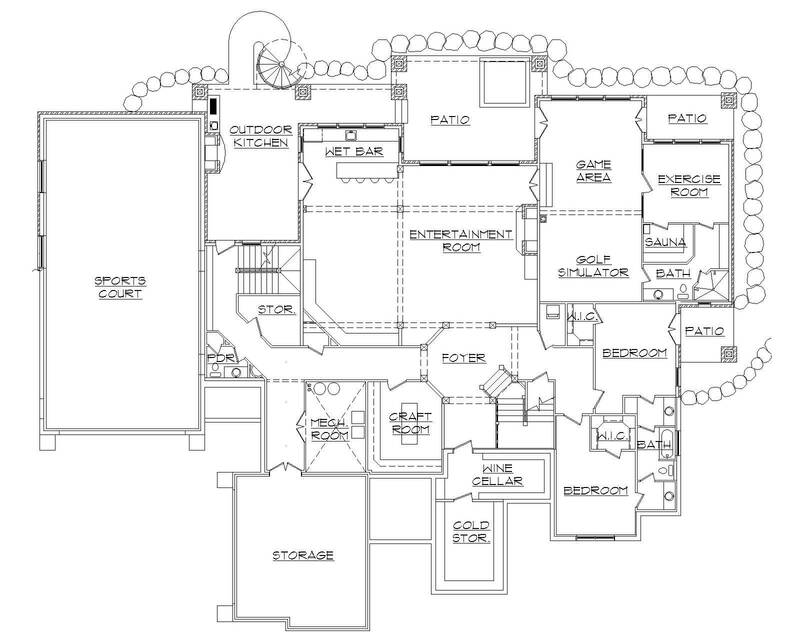 I tend to like this option because it means virtually any home plan can have an indoor court. To start building your indoor basketball court, you will need to pour your footings as a monolithic pour. That simply means you pour the floor of the gym 4 inches thick, except at the edges it will be 10 inches thick. The 10 x 20-inch concrete on the edge will have horizontal and vertical rebar like a regular footing. Also, where the wall sits you will need to use a keyway where the foundation walls will be. The keyway simply leaves a 2-3 inch groove in the footing so the foundation wall concrete can mold into the footing, thus creating a unit that works together. This also helps seal the bottom of the wall so water shouldn't get in. The foundation walls will need to be engineered. My engineer requires the walls to be the regular 8-inch walls, but the rebar is placed every 12 inches, both vertically and horizontally. The rebar at the top of the wall will need to stick above the walls so it can be bent over and tied to the concrete of the garage floor. We have our suspended slabs made off-site. They bring in the “pre-stressed concrete slabs” and install them with a crane. We then seal all of the joints, then bend all of the rebar over and tie in the horizontal rebar. This creates a 12-inch mat of rebar throughout the entire floor. We then pour a 4 inch sloped floor over the pre-stressed concrete and matted rebar. One thing to note about indoor basketball courts under garages: the pre-stressed concrete is about 12” thick. That means you need to have 9-foot basement walls, or set the gym an extra foot deeper. Otherwise you will have to step down when you enter your home from the garage. Another thought to consider: To have a gym under the garage, you will be digging over 16 feet in the ground. Many areas have water tables well above the 16 feet. All of the homes we have done are on the benches of the mountains in Utah. These are areas where there isn't going to be a water problem. Usually we try and find a lot where it really drops off, so we don't have to dig and haul away 16 feet of dirt. Sometimes we get really good deals on these lots, because they drop off too much for a typical house. Be cautious when digging and forming the tall walls. You certainly want trained professionals to do this type of work. You should also consider placing a temporary fence around the deep hole. Make sure to schedule everything out so that you can get the deep hole, backfilled and covered as quickly as possible. Most of the homeowners have chosen to put a thin carpet on the walls and an industrial gym carpet on the floor. The carpet reduces the noise and is more kid friendly. One last thought, about lighting and heating. Because these rooms are so deep in the ground, they won't need central air and may not need any heat. You can do forced air, but a better alternative is to have in-floor heating. The lights need to be low profile, like fluorescent lights. You can get fluorescent lights with a wire cage around them. You can also have glass block put in towards the top of the walls to shed some natural light in the gym. Now I know my directions may not be that clear, but I am a builder, not a technical writer. Just know that most any plan with a garage could be adapted to have an indoor basketball court under the garage. You will need to get with a local engineer to help you review your plan. Just explain how we are doing it and he will understand all of the terms and guidelines you need in your area. Many keep asking about the cost to build an indoor basketball court. Of course every part of the country is different. I know that my raw cost to build a gym under a garage is in the neighborhood of $25,000 - $30,000. However, in my neck of the woods, it increases the property value much more than the money invested. They make great spec homes because the profit margins are much greater. 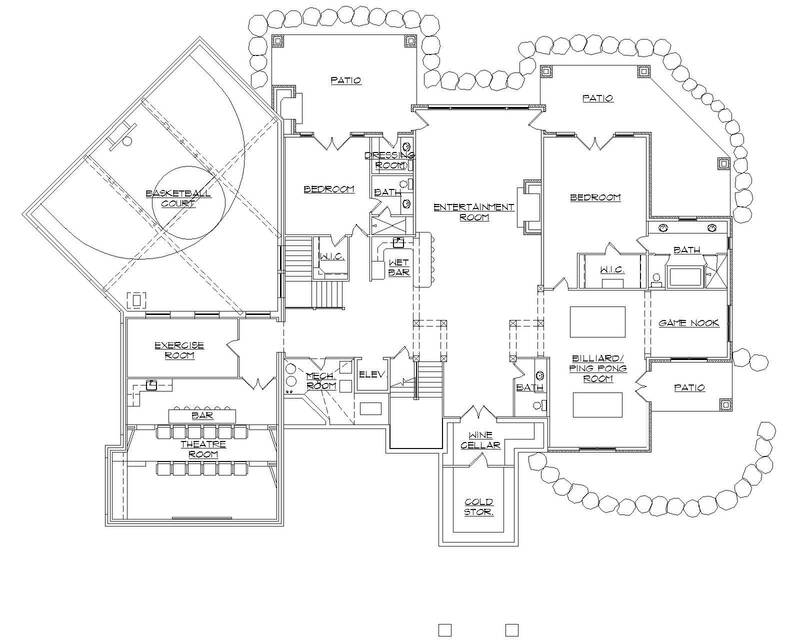 This luxury mountain house plan features an indoor basketball court beneath the garage in the basement, along with an entertainment room, exercise room, home theater and more. This 3-bedroom house plan includes an indoor gym that’s spacious enough to serve as an indoor basketball court. It’s located in the finished walk-out basement along with a family room and covered patio for top-notch entertainment all year long. Designed for the active family, this 3-bedroom house plan features a large indoor basketball court with 16-foot ceilings. 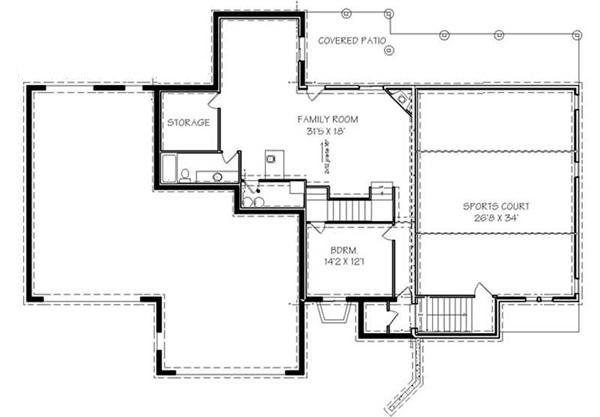 Measuring more than 800 square feet in size, there are no limits to what you can do with this space. 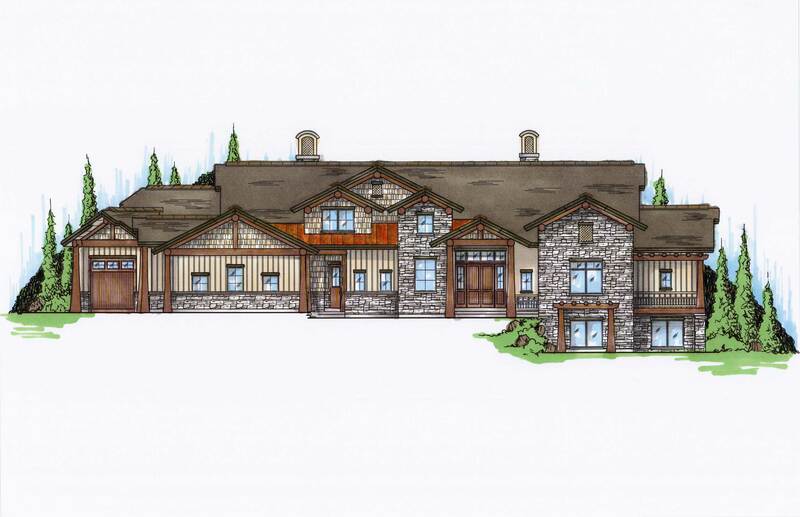 An indoor basketball court in the finished basement is nestled alongside a game area, entertainment room, exercise room, sauna and wet bar, making this 5-bedroom the ultimate house plan for the entertainment lover. As I have mentioned before, we built our personal home about nine years ago. We built it with an indoor basketball court and have loved it. We live in an area of the country where we have cold long winters, and it is so nice to have a place for our family to be active. A home gym can be used for so many activities like basketball, racquetball, gymnastics, climbing, skating, and even golf. We hit those yellow foam golf balls in ours. Hopefully, you love your indoor basketball court like we do.